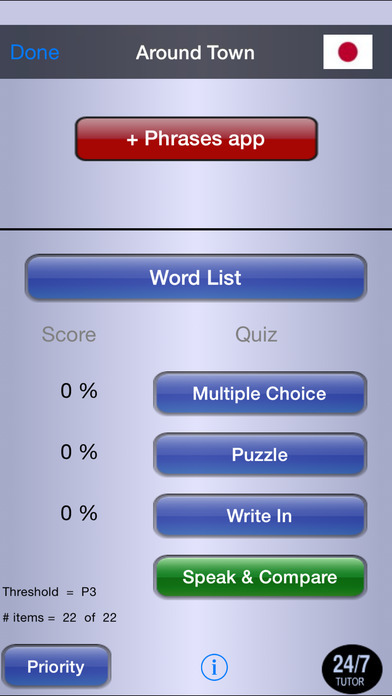 Study Japanese vocabulary, anytime & anywhere with a mobile language lab. 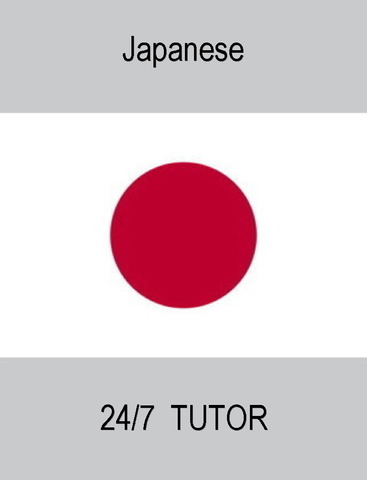 24/7 Japanese goes way beyond the typical flashcard programs, providing a set of engaging, interactive study tools that help you really learn the language. 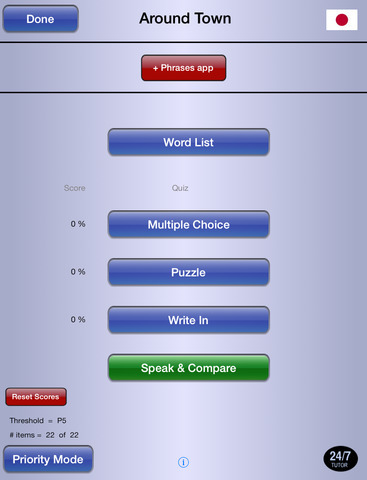 Customizable via user-defined study sets, along with built-in topic categories. - New! User-defined STUDY SETS! 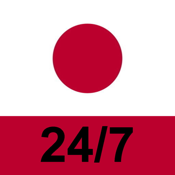 24/7 Japanese Vocabulary has built-in categories of Home, Family, Friends, School, Education, Around Town, Office, Work, Weather, Time, Date, Adjectives, Colors, Other Descriptive, Sports, Recreation, Technology, Electronics, Food, Drink, Numbers, Nature, Animals, and Clothing.